Rapper Nicki Minaj Blast Italian Shoe Designer "Giuseppe Zanotti"
BHR Hollywood Reports.......Five years after rhyming about having her own Giuseppe Zanotti sneaker on “Pound the Alarm,” Nicki Minaj is singing a different tune. The superstar rapper unleashed a series of tweets aimed at the shoe designer, accusing him of racism and disrespect, among other things. Nicki also wore Zanotti kicks, which Meek Mill recently roasted, in the 2013 music video for Ciara’s “I’m Out.” But now, Minaj says she’s insulted by the way Giuseppe’s ignored her phone calls, particularly as he links up with other artists, like Jennifer Lopez. Nicki then shared a similar sentiment on Instagram, attaching a screenshot of “Nicki” sneakers by Zanotti on sale online. Dear @giuseppezanottidesign #RunMeMyCHECK your PR must've fell & bumped their head when they told my agency they weren't discussing anything with us. I'm giving you 24 hours. 😊 #GiuseppeWhatsGood 23 pairs of sneakers in my collection & they won't take a call? The newest version of the “Nicki” sneaker retails for $675 and comes in several color options, including a “pink python-printed leather” — one of Minaj’s signatures. 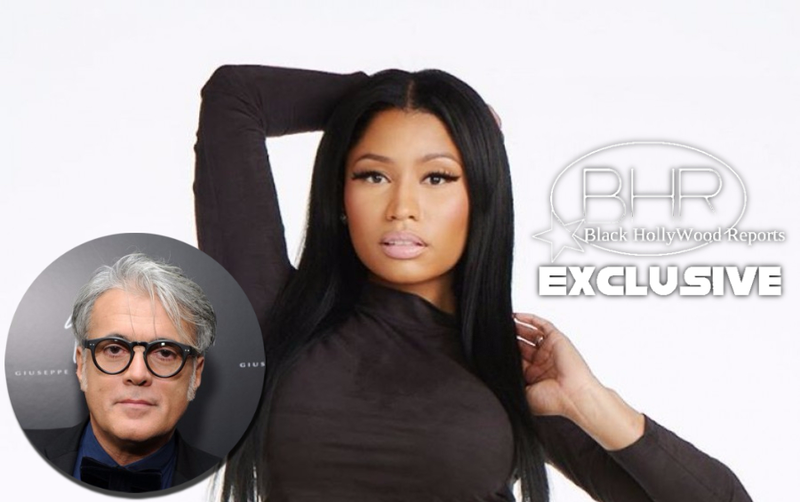 Zanotti has released collaborations with other artists including Jennifer Lopez and Zayn Malik, but allegedly has denied Minaj’s request to team up on a collection. “Recently when he gave other artists capsule collections, my agency reached out and was told they’re not taking our call,” tweeted Minaj. Minaj is asking that Zanotti donate proceeds from sales of the “Nicki” sneakers to St. Jude Children’s Research Hospital, adding that she will match the donations up to $500,000.